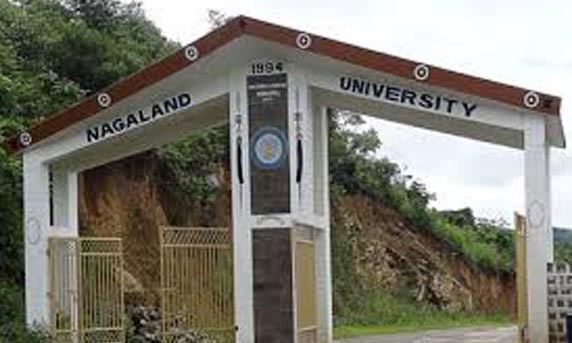 The Nagaland University Teachers’ Association (NUTA) on Thursday urged the State government to discuss in the Assembly the claim that Article 371 (A) of the Constitution protects the State from the Citizenship (Amendment) Bill. In a representation to chief secretary Temjen Toy, NUTA president Prof. Rosemary Dzuvichu and secretary general Prof. D Kuolie appealed to the government to thoroughly deliberate on the claim in the Assembly in public interest. Apprising the government of its observation on the Bill, the NUTA said the suggestions from some of the tribe hohos that protection by Article 371 (A) must be discussed further in the Assembly did not figure in the resolution No. 3 on Article 371 (A) and the inner line permit (ILP). The resolution was adopted at the government-convened consultative meeting with political parties, civil society organisations and NGOs at Chumukedima police complex here on January 31. The NUTA affirmed its stand that Article 371 (A ) may not be able to protect the State from the Citizenship (Amendment) Bill once it becomes an Act as its provisions are “categorically specific”. The university teachers argued that if the Bill becomes a law of the nation, the standing protective law under Article 371 (A) and ILP for the Nagas will summarily be overruled or become secondary. They said the Citizenship Bill does not contain provision to safeguard the ILP or Article 371 (A). The Nagas will automatically fall within the concept or term of “Indian national” which the “Naga political history has not demanded till date” if the Bill becomes an Act, the NUTA said. Consequently, the ongoing process towards Naga political solution would be at stake, it added. The association referred to Union home minister Rajnath Singh’s statement in Parliament that the Bill is for the whole country. “That was where Nagaland stands affected,” it said. Reiterating that the Bill is “non-secular”, the NUTA said it would not only affect demographics of the Northeast region but also Nagaland and its indigenous inhabitants. Also, noting that the ILP currently has many loopholes, the NUTA supported extension of the ILP to Dimapur, which has been flooded by illegal immigrants. In another development, the Nagaland Gaon Burhas Federation, along with 15 tribal hohos and public, at a consultative meeting here on Wednesday resolved to take out a public march from Old MLA Junction to Raj Bhavan in Kohima on Friday and submit two separate memorandums – one to President Ram Nath Kovind and the other to Prime Minister Narendra Modi – through Governor P.B. Acharya. The memorandum to the President is to appeal him to withhold his assent to the controversial Citizenship (Amendment) Bill if it is passed in the Rajya Sabha while the memorandum to the Prime Minister is for early settlement of the Naga political issue.